I added a patch pocket to the coin purse. 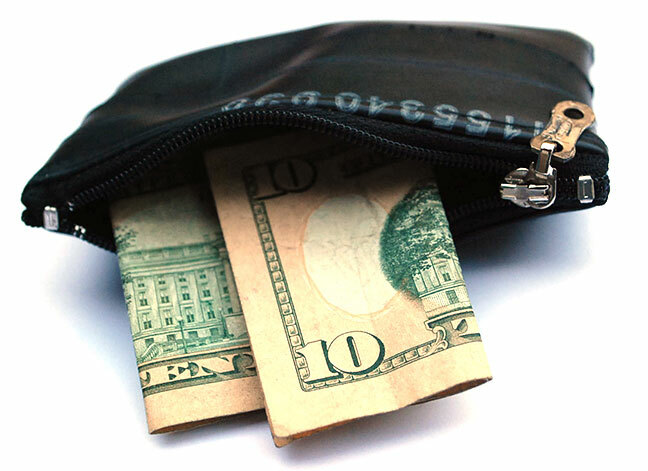 Now your credit cards can snub your cash all they want to. They never have to share now that they each have their own space. Just click the photo for more info or to purchase. This Patch Pocket Coin Purse is $13. 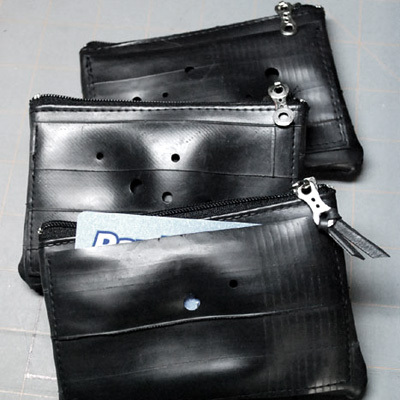 My original and still quite handy inner tube coin purse. It has a zipper closure with a chain link for a zipper pull. It makes a very unique and affordable gift for guys or gals.